British explorer Cairn Energy's arbitration against a Rs 29,047 crore retrospective tax demand has begun with the adjudicating panel fixing timelines so as to complete the arbitration in less than 12 months. The three-member arbitration panel headed by Geneva-based arbitrator Laurent Levy held its first procedural hearing in Paris a few weeks back, sources privy to the development said. 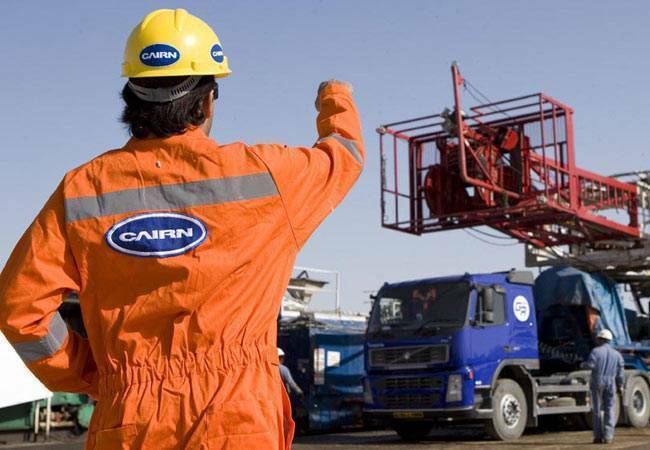 The seat of the arbitration was agreed to be The Hague in the Netherlands, they said adding Cairn has been asked to file a 'Statement of Claim' detailing its position on the issue and the relief it is seeking by the end of this month. The Indian government will fix its 'Statement of Defence' by fourth quarter of 2016 calendar year and evidential hearing is expected to commence in early 2017. Sources said Levy intends to wind up the arbitration process possibly by May/June 2017. Cairn had in January 2014 received a notice from the Income Tax Department citing the 2012 legislation that gave it powers to impose tax retrospectively. It made a draft assessment of Rs 10,247 crore as tax due on a group reorganisation carried out in 2006. The Income Tax Department provisionally attached the company's remaining 10 per cent shareholding in Cairn India, then valued at about $1 billion. The value has since reduced by 30 per cent. This year, a final assessment order was slapped on it that included a Rs 18,800 crore of interest on top of Rs 10,247 crore principal tax amount. The British firm challenged the assessment by seeking an international arbitration under the UK-India Investment Treaty. It named former Bulgarian minister Stanimir Alexandrov as its arbitrator in the tax dispute while India appointed Singapore-based lawyer J Christopher Thomas as its arbitrator. Cairn Energy contends that there was no tax due on an internal reorganisation and that its international shareholders have suffered material losses from the share attachment. The attachment also severely impacted the company's financial capacity to invest in oil and gas assets and led to cutting of workforce by 40 per cent. Sources said the company will claim full compensation for the $1 billion value lost following the tax notice and freezing of its 9.8 per cent shares in Cairn India. I-T Department alleges that Cairn Energy made a capital gain of Rs 24,503.50 crore in 2006 when it transferred shares of Indian assets that were held in a subsidiary set up in the tax haven of Jersey, to newly incorporated Cairn India. It listed Cairn India on the stock exchanges through an initial public offering (IPO) thereafter. Through the IPO it raised Rs 8,616 crore and then in 2011 went on to sell majority stake in Cairn India to mining giant Vedanta Group for $8.67 billion. Cairn Energy still holds 9.8 per cent in Cairn India which the I-T Department has barred it from selling.